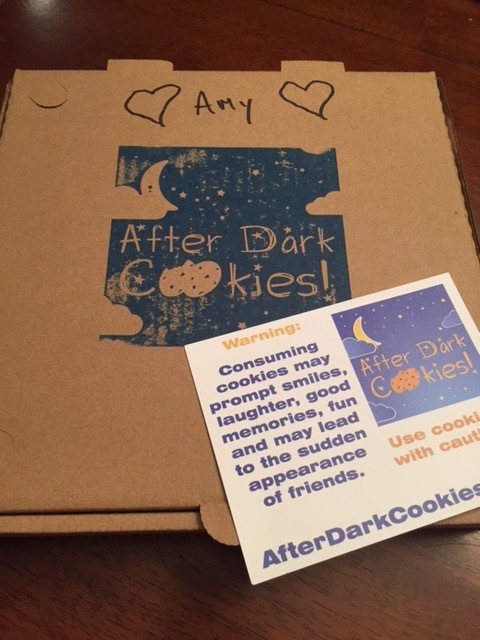 After Dark Cookies delivered right to your door. Oh Portland, you have done it again. I love the creative minds we have here. Not only are there amazing chefs in our city cranking out some pretty spectacular food, we also have creative people trying to get great food into yours hands. Check out After Dark Cookies. 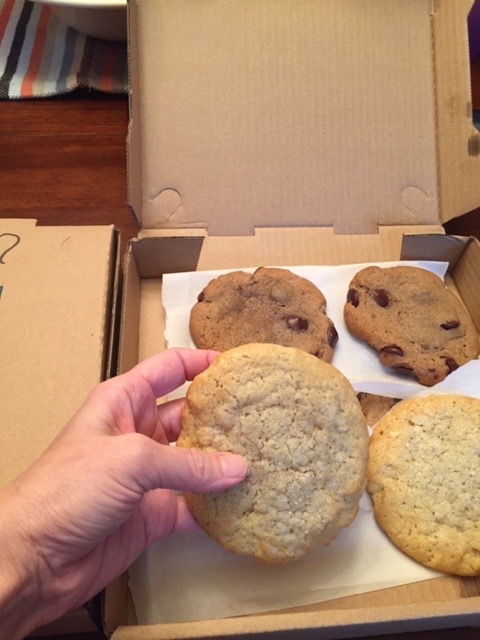 They deliver cookies right to your door. When they arrive they are warm, gooey and down right good. I was contacted by this company and after checking out their site I told them I was outside of the delivery radius. They still wanted to get these cookies into my hands. Why should I try and stop them right? 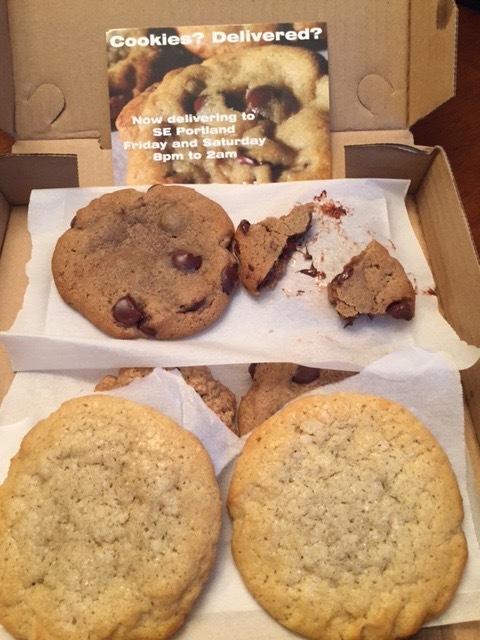 So not only did they have to drive farther, but the cookies were still warm and gooey. After looking over their menu I saw that you could also order milk or ice cream plus a few other things. This is like the whole deal right here. Not only is this a great concept, but I looked online and Yelp reviewers seem to love it. I talked to the owner briefly when he dropped them off and he said he hoped to grow it so they could really increase their territory including the burbs. This is great news because when I posted the pics on Instagram and Facebook the night I got them, I noticed a lot of my burb friends commented on how great this was. So check it out. Great concept, great product and best of all I think the pricing is pretty great as well. The cookies are really big and they are about $2 each. Thanks After Dark Cookies for the tasting. I have to say you are onto something big!